العلاقات الخارجية > News > Details Within E+ program, group of IUG Students Begin their Studies at University of Glasgow in UK. Within E+ program, group of IUG Students Begin their Studies at University of Glasgow in UK. Funded by the European Union and through the international credit mobility projects of the Erasmus Plus program, a group of students from the Islamic University successfully arrived the University of Glasgow in UK and started their studies. As part of the international mobility projects, the student studies courses from his academic plan at an international partner university, then all the courses that have been passed successfully will be recognized and counted in the student's grades. In general, such projects aim at improving performance and learning, increasing initiative, confidence, and self-empowerment of students. As well as enhancing their foreign languages competences and promoting intercultural awareness. It is worth mentioning that the External Relations Department at IUG chose these students according to institutionalized based on transparent, fair and competitive selections criteria. In addition, the University of Glasgow contributed to the evaluation of the students' English language through Examinations and interviews by its faculty member, Professor Bill. 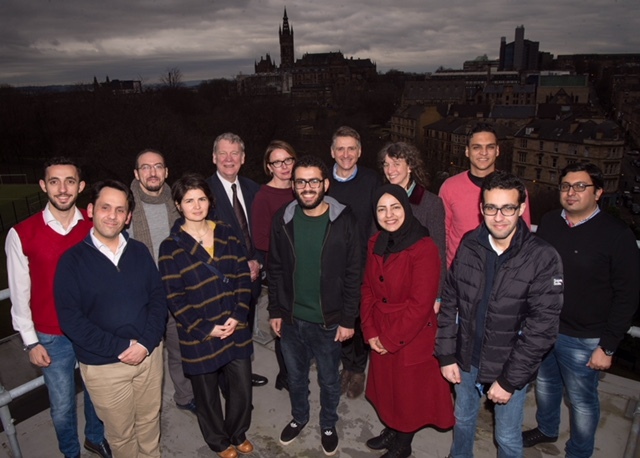 In spite of all the obstacles and difficulties faced, as IUG students had to overcome last-minute border closures, attacks on Gaza and perilous journeys through the Middle East to make it to Glasgow, they managed to successfully reach the University of Glasgow. This group included two female students and six male ones from various disciplines including the faculties of Engineering, Arts, Commerce, and Medicine in master and bachelor degrees. On the other hand, according to the project, a total of 24 students were supposed to travel to the University of Glasgow yet not all of them could. This project is considered to be the culmination of the IUG international relations with the University of Glasgow, a strategic partner of IUG, in which both are engaged in several international projects. It's also worth mentioning that the Islamic University is a partner in 15 international credit mobility projects within Erasmus Plus program in which more than 50 international mobilities are available.